Compounds that target Mcl-1 could form a new class of anticancer drugs, says Xingming Deng, MD, PhD, lead author of the study published in the Journal of Clinical Investigation. A protein that cancer cells rely on to stave off cell death also helps them regulate DNA repair, researchers at Winship Cancer Institute of Emory University (Winship) have discovered. The findings are scheduled for publication in Journal of Clinical Investigation (JCI). The Winship researchers have figured out how to disable this protein, called Mcl-1, and make cancer cells more vulnerable to DNA replication stresses. Compounds that target Mcl-1 could form a new class of anticancer drugs, says lead author Xingming Deng, MD, PhD. Deng's team has found such a compound, and shown that it can be combined with known drugs to kill lung cancer cells in a mouse model. The first author of the paper is postdoctoral fellow Guo Chen. 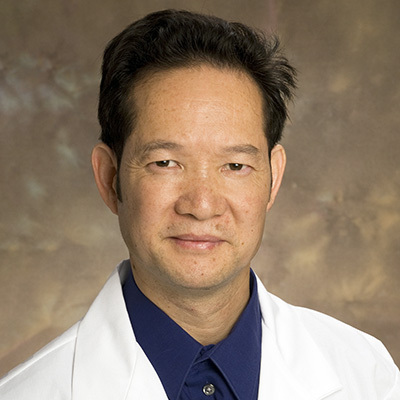 Deng is professor of radiation oncology and director of the discovery theme in Winship's Discovery and Developmental Therapeutics Research Program. The Mcl-1 protein has been well-known to cancer researchers for its role in protecting cells from apoptosis (programmed cell death). Most types of cancer cells overproduce Mcl-1. By carefully observing how Mcl-1's abundance rises and falls during the cell cycle, Deng's team identified another function. If cells have severe DNA damage, a break severing both DNA strands, they have two ways to try and fix it. One is to copy the correct sequence from another chromosome, a process known as homologous recombination. That only works if the cell has already duplicated its chromosomes and has not divided yet. Otherwise, the cell can attempt to trim and knit the broken DNA ends back together again (non-homologous end-joining or NHEJ), which is generally less efficient. Deng describes cells' reliance on the two forms of double strand break repair as like a seesaw. Cyclically, one goes up while the other goes down. The Winship researchers found that Mcl-1 can steer cells away from NHEJ and toward homologous recombination. If cells don't have Mcl-1, they are more vulnerable to agents that induce DNA replication stress, such as PARP inhibitors and hydroxyurea. PARP inhibitors are a class of drugs being used to treat ovarian cancer and some types of breast cancer. Hydroxyurea is used against chronic myelogenous leukemia, squamous cell carcinoma and sickle cell anemia. Mcl-1 does not appear to impair repair of X-ray-induced DNA breaks, which is more dependent on NHEJ. The compound Deng's team found, named MI-223, disrupts Mcl-1's ability to regulate homologous recombination DNA repair, and combines with PARP inhibitors and hydroxyurea to kill lung cancer cells. Cancer cells are more vulnerable because they rely on Mcl1's anti-cell-death properties and because they are more sensitive to DNA replication stress, Deng says. Thus, Mcl-1 inhibitors should be relevant for other types of cancer beyond lung cancers -- researchers elsewhere recently identified Mcl-1 inhibitors that may be effective against triple-negative breast cancer. Winship co-authors on the JCI paper: Dongkyoo Park, David Yu, Taofeek Owonikoko, Gabriel Sica, Sarah Satola, Suresh Ramalingam, Walter Curran, and Paul Doetsch. The research was supported by the National Cancer Institute (R01CA193828, R01CA136534, R01CA200905, R01CA178999), by the Winship Fashion a Cure Research Scholar Award, and by Winship Endowment Fund and a philanthropic award through Winship Cancer Institute of Emory University.